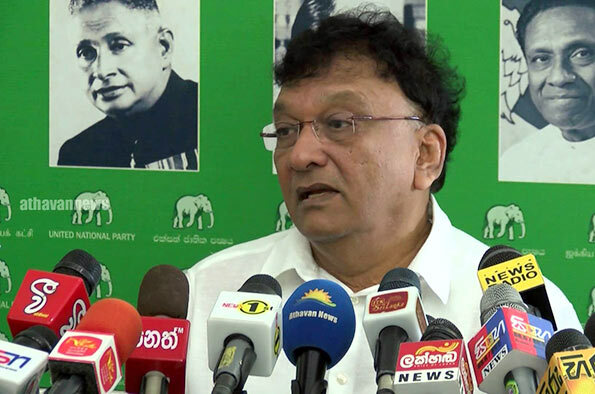 UNP MP Lakshman Kiriella yesterday urged that MPs who had damaged Parliament property be penalized. “We like to propose that those MPs who damaged Parliament property on November 14, 15 and 16 be penalized after conducting investigations,” he said. Deputy Speaker Ananda Kumarasiri who was in the Chair said he would inform Speaker Karu Jayasuriya about the proposal. Mr. Kiriella was jeered when he made the proposal in the House yesterday. Just wonder if you and your buddies have the same ‘ache’ and enthusiasm to get the Central Bank Bond Thief (Ranil’s special appointment) to recover millions or billions of nation’s wealth. Then by all means get all those who damaged the parliament chairs to pay up. What about those who ‘damaged’ the dignity of the House by carrying knives from the Canteen? Well Grace, We live in the current world according to current norms. Yes, that was bad. But in a world where the CIA after investing evidence says the Saudi future directed the killing of the journalist in the most horrific way imaginable, then their commander of chief do not want to look at what the CIA says and wants to carry on as usual. Then won’t that damage their countries dignity since they g around the world preaching the others who to do ‘right’? Donald Trump has expressed his unstinting support for Saudi Arabia and claimed there was “nothing definitive” linking Crown Prince Mohammed bin Salman to the murder of the Washington Post columnist Jamal Khashoggi. In the extraordinary statement issued on Tuesday – which begins with the words “The world is a very dangerous place!” – Trump quotes Saudi officials as describing Khashoggi as an “enemy of the state”. The 649-word statement appears to be a presidential act of defiance against the CIA, which has reportedly concluded that the Saudi prince ordered the killing, and the Senate, which is considering bipartisan legislation that would suspend weapons sales to Saudi Arabia among other punitive measures. He told reporters at the White House that the CIA “didn’t make a determination” on the murder, and that they had “nothing definitive” on its perpetrator. The claim is contradicted by multiple reports that the intelligence agency has concluded that Prince Mohammed ordered the hit on the former Saudi insider who had become a persistent critic. In his written statement, Trump wrote: “Our intelligence agencies continue to assess all information, but it could very well be that the crown prince had knowledge of this tragic event – maybe he did and maybe he didn’t!